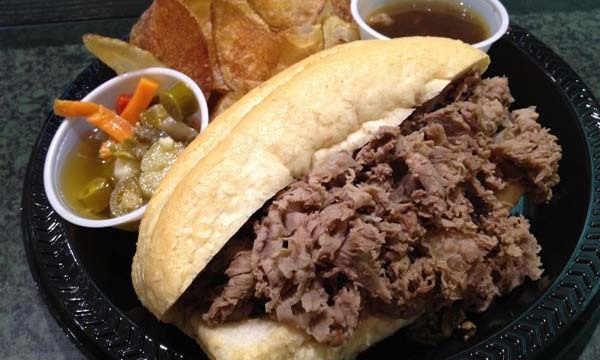 Jay’s Chicago expands capabilities to better serve a hungry Nashville! How about an authentic Maxwell Street Polish to brighten your next luncheon or event? 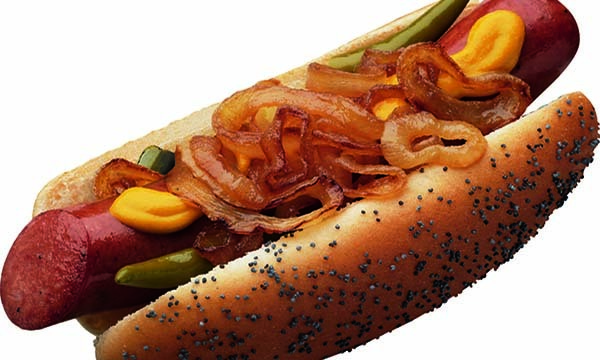 Sox fans know the secret of a good hotdog. Let Jay’s Chicago bring that delicious secret to your next event! Ask about Jay’s Chicago event planning and private parties in the Nashville Area! Summer afternoon. Cubs game streaming. 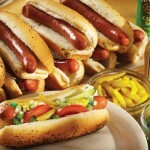 Couple Vienna dogs and a cold beverage…call Jay’s Chicago! 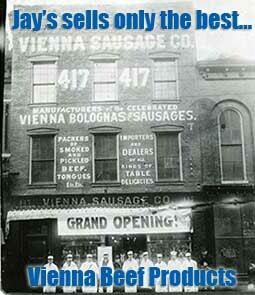 As a long time Chicago native, I will provide an authentic Vienna Beef Hotdog on a S. Rosen steamed poppy seed bun, Polish Sausage, Italian Beef Sandwich with a Gonnella Roll(only at private events), Jay’s Potato Chips and a cold beverage from a mobile Hot Dog cart for the lunch time crowd and private events throughout the Nashville and surrounding counties. 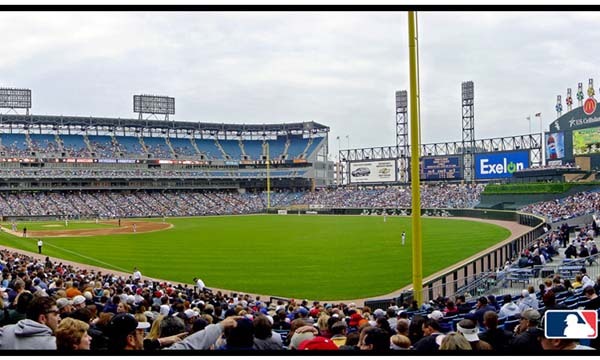 Come taste and smell Maxwell Street, Comiskey Park, Wrigley Field or The Chicago Stadium. 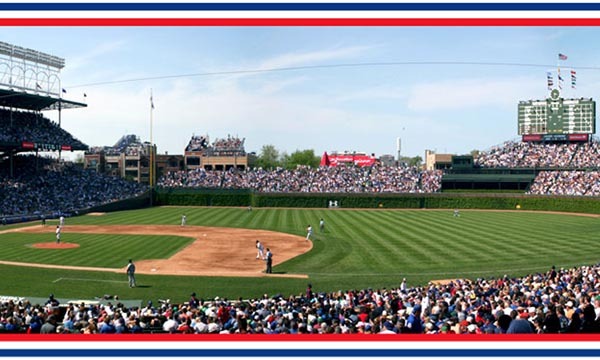 Cubs and Sox fans welcome! I moved from Chicago to Nashville six years ago and almost never look back (particularly November through March). Except when I’m hungry. That’s why Jay’s Chicago, a mobile food cart, caught my eye at the East Nashville Farmers Market. Jay Pritchett is another Chicago-to-Nashville transplant. He grew up on the Windy City’s South Side. And while he has been in the South for 20 years (and in Music City for eight) he, too, had problems finding exactly what he wanted when he craved a taste of home. 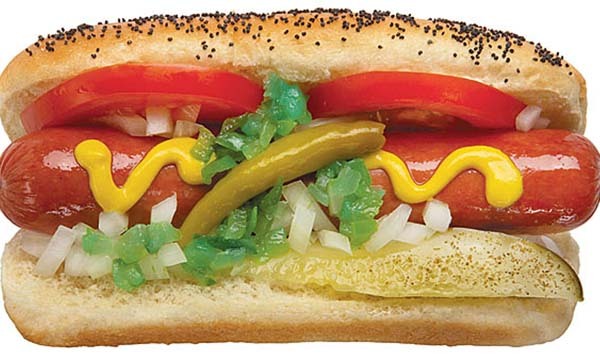 After two years researching and studying (including a class at Vienna Beef’s very niche Hot Dog University), Pritchett launched Jay’s Chicago (878-0264) in March of this year. “This is the food I grew up on. I want to bring it to people in Nashville,” he says. 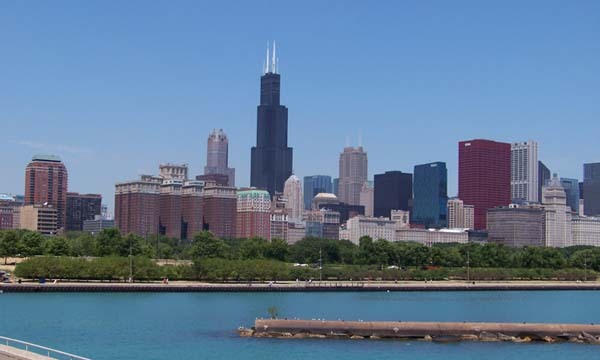 Because of Nashville’s proximity to Chicago — and plethora of direct flights — there are many former Chicagoans in Music City, as well as Chicagophiles who like to road trip for a ballgame and a hot dog. 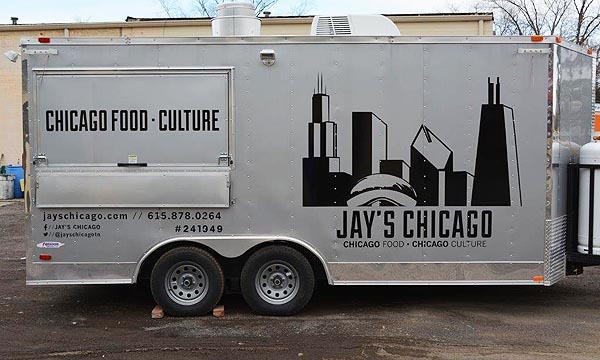 Jay’s Chicago brings authentic Chicago-style hot dogs to local farmer’s markets, office parks and events, such as the Cumberland River Dragon Boat Festival and the Nashville Beer Festival. Pritchett posts where his Windy City cart will be on Twitter (@jayschicagotn) and Facebook (facebook.com/jayschicagotn) as well as on a calendar on the website . He particularly likes working at office buildings and in office parks in the city and in Brentwood/Franklin where he van quickly get customers’ lunch so they can get back to their desks. The cart accepts credit card payment as well as cash. 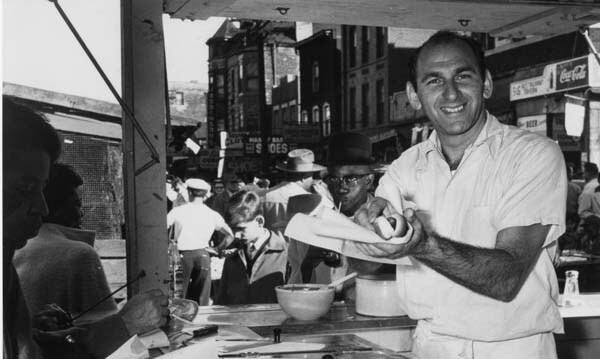 Pritchett’s cart sells the very essence of Chicago food: Vienna Beef hot dogs ($4), brats and Polish sausage ($6), the iconic Jay’s brand (no relation) potato chips ($1). The dishes are served with the classic Chicago condiments, including celery salt and sport peppers, on a signature S. Rosen poppy seed bun.